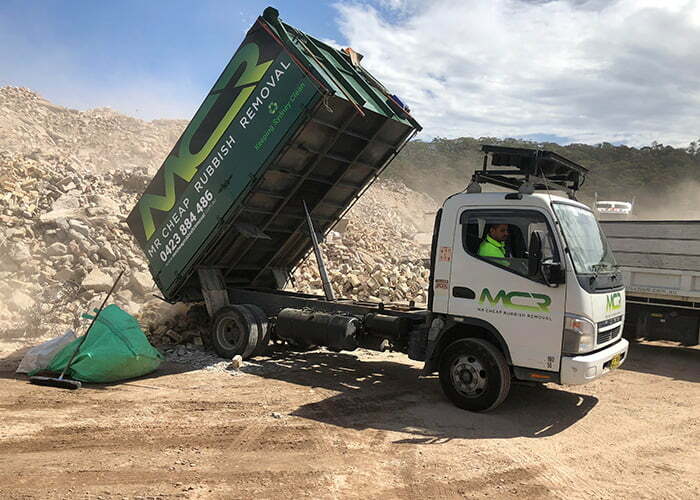 Mr Cheap Rubbish Removals began when current owner, Mischel Askar having worked for several other rubbish removal firms after many years saw the need for supplying a better all-round rubbish removal service. Mischel was alarmed at the lack of care for the environment and the lack of value that cleaning and rubbish removal firms were giving their clients. He saw the need to provide a cleaning and rubbish removal service that provided affordable, fast, efficient service while caring for the environment. Mischel began the business with just one truck and started to build his reputation for providing an efficient friendly clean up and removal service. Today Mr Cheap Rubbish Removal is recognised as an industry leader in Sydney Rubbish Removal services. From the very beginning, Mr Cheap Rubbish Removal has had a policy of caring for the environment. We ensure that all rubbish is disposed of in the most environmentally friendly manner. We dispose of all rubbish thoughtfully and do our very best to recycle everything that you ask us to take away. While some of our competitors take the cheap option of dumping your waste in landfill, we spend hours sorting and classifying your waste, so it can be made use of by recycling centres or charities as the case may be. If you wish to dispose of your recyclable rubbish with a local charity like a Salvation Army near you or local Free rubbish pickup by all means do so – and call us to dispose of the rubbish that they don’t want. We pride ourselves on being more convenient and hassle free for our customers. It doesn’t matter whether you’re a builder looking to clear debris from your building site, a business looking for regular rubbish removal or you’re simply looking to clear away some family furniture that is cluttering up the place – we can help you. Today Mr Cheap Rubbish Removals has grown to be one of the largest rubbish removal companies in Sydney with a huge fleet of trunks within easy distance of your location. We have become renowned throughout Sydney for offering better value for money, providing a lower cost rubbish removal solutions than even doing it yourself. Our affordable pricing structure is based upon years of hard work building a network of contacts within recycling centre and waste management centres, giving us access to the best rubbish management rates available. We are able to offer you the best rates by calculating your cost based upon a cubic metre rate. This means you only pay for the rubbish we clear whereas the cost of hiring a skip is a set daily rate regardless of how full your bin is. When you use us you save money and remove the need for having an unsightly skip cluttering up your property. We have a reputation for clearing away all sorts of rubbish, unlike some other companies we don’t pick and choose. If you want it cleared we’ll clear it.